Since 1989, we have dedicated ourselves to providing engaging and impactful educational outdoor experiences for California’s K-12th grade students. We believe in the transformative power of outdoor experiences, and are committed to designing immersive programs that connect youth with nature, empower individuals, and strengthen communities. Through lessons and activities that make learning fun, WOLF School gives teachers the opportunity to enhance classroom curriculum, and gives students the chance to gain knowledge, awareness, and respect of their environment, their community, and themselves. Building respect, appreciation, and stewardship within the web of life. To inspire youth to connect with the natural world in order to better understand their place within it. We believe in the abilities and intelligence within each child, and strive to provide an environment where youth can make meaningful discoveries about themselves. We believe in the importance of making connections within the web of life, and encourage students to build healthy relationships with themselves, their communities, and the world around them. We encourage stewardship of the natural world by teaching students about the importance of the environment, and how their own actions can inspire real change. We think everyone has the right to experience nature, so we strive to find the most affordable options for students and teachers, so that anyone who wants to attend WOLF School has the opportunity. We want each student’s outdoor experience to be as impactful as possible, so we focus on providing the most positive programs and settings possible. We believe that knowledge is power, and that by becoming a life-long learner and continuously educating oneself each individual can make a positive difference for the betterment of themselves and their world. WOLF School is unique in our ability to offer any of our educational outdoor programs at multiple professionally-maintained camps in beautiful locations throughout California. From the central coast’s soaring redwood forests to the majestic reaches of the Sierras, with campuses as far north as Sonoma County and south to the San Bernardino Mountains, choose the site that best suits your group, and get ready for a remarkable experience! At WOLF School, we believe in learning by doing, and that positive role models have incredible impact on our youth. That’s why we take such great care in choosing, training, and supporting our staff. Our Program Directors and Naturalists hold college degrees and are professionals in environmental education, with backgrounds in science, history, community-building, education, and working with youth. They have a zeal for the outdoors that excites and engages our participants, encouraging every individual to connect and learn in nature. The experience and diverse backgrounds of our staff come together to create safe and dynamic educational programs that students will never forget. Heather Butler has been the director of WOLF School since 1999. She graduated from Stanford University with an A.B. in Human Biology and Comparative Literature, and received her Teaching Credential from Chapman University in 2005. She began her career with WOLF School as assistant to the organization’s founder, Randy Widera, and has maintained the non-profit’s mission, values, and commitment to connecting youth to nature, while advancing WOLF School’s programs to meet schoolteacher and administrators' state teaching requirements. Continuing California’s tradition of science camp, she has implemented state standards-based learning and NGSS-supportive thinking into all programs, while retaining WOLF School’s strength as a dynamic organization providing inspiring outdoor experiences. 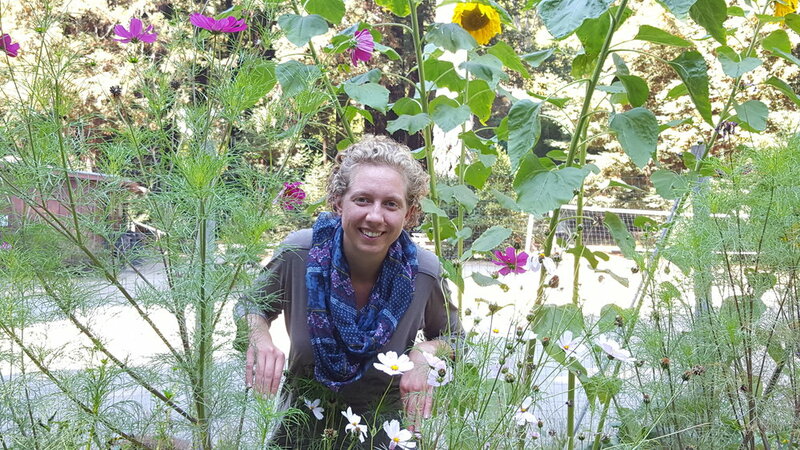 Heather is a member and past president of CA’s Association of Environmental and Outdoor Education (AEOE) and is a past board member of Friends of Santa Cruz State Parks. She thinks she has the best career in the world that combines working outdoors with kids and teachers, campfires, music, salamanders, and redwoods. 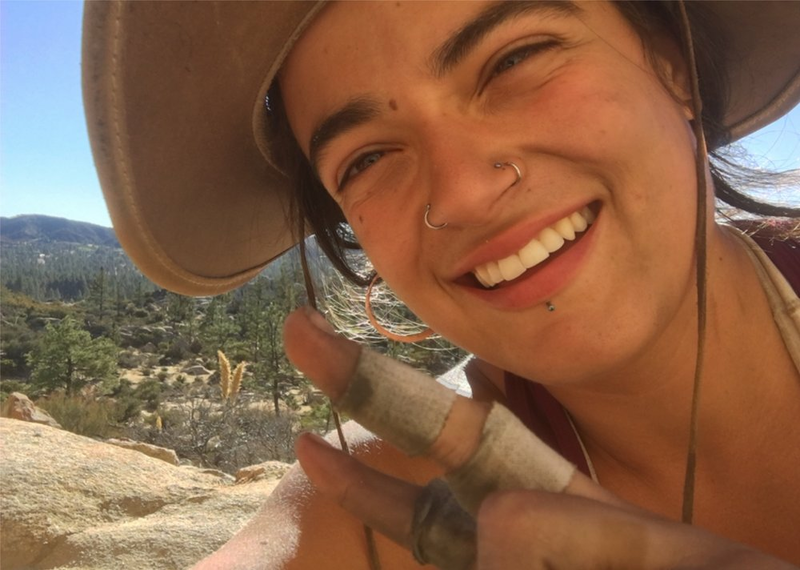 From camping and hiking with her family while growing up, to teaching swimming and surfing to kids in her hometown of El Segundo, CA throughout high school, Tumbleweed gained a deep connection to both youth education and learning about the outdoors from a young age. She attended college at UC Santa Cruz where she earned a B.A. in History with a minor in Education, before earning her Masters in Elementary Education at Loyola Marymount University. Tumbleweed began her career as an outdoor educator with WOLF School: she was hired as a naturalist in 2008, and promoted to program director in 2010. After that she did a stint as an interpreter for California State Parks at parks throughout the central California coast region, during which time she gained a vast knowledge of California’s various environments. She returned to WOLF School in 2013 as the school liaison/ administrator, and has been the associate director since 2015. Tumbleweed’s passion for WOLF School, the outdoors, for teaching and shared experiences, and her commitment to setting students and staff up for success spreads to the entire WOLF School team, creating a dynamic and fun work environment for staff, and an educational, empowering experience for students. She loves any activity that involves being in the sun, including surfing, hiking, reading, and gardening. Originally from Redlands, CA, Typhoon earned both his Bachelor of Science in Ecology, Behavior and Evolution and a Master of Science in Biology from UC San Diego. He has held an array of educator positions, including as a San Diego Zoo tour guide, animal trainer and presenter at San Diego’s Safari Park, summer camp backpacking guide with Lawrence Hall of Science, as an interpreter for Big Basin Redwoods State Park, and as a tour guide for the Monte Verde Butterfly Garden in Costa Rica. Throughout his experiences, Typhoon began seeing educating our youth as the most impactful way to improve our environment and society, and started as a naturalist with WOLF School in 2010, before advancing to program director in 2011, and has been the program coordinator since 2012. He shares his positivity with all around him, and loves hiking and biking with his 2 year old daughter, and is looking forward to teaching her his other passions: kayaking, surfing, swimming, and backpacking. A naturalist and now program director with WOLF School, Otter has been teaching people about nature and science since he learned to talk. Originally from San Antonio, TX, he moved to the Pacific Northwest to attend Evergreen State College in Olympia, WA, where he earned his Bachelor of Science in Evolutionary Biology and Zoology. Taking his passion for animals and science to California, he discovered his strengths in educating youth and that in doing so, he was helping to make the future better and brighter. Working at WOLF School since 2010, Otter loves the unique freedom WOLF School’s educators have to teach nature in the moment, as opposed to being limited by strict lesson plans. He loves hiking, camping, fishing, more hiking, playing music, and has way too much fun talking about salamanders. Originally from Aurora, IL, Bee attended college at the University of Iowa, where she studied Anthropology, Global Health, and Sustainability. Forever inspired by the great outdoors, Bee moved to California and began as a naturalist with WOLF School in 2015, where her passion for working outdoors and with kids collided. Motivated by our youth and their ability as the next generation to provide the solutions for our own human as well as environmental sustainability, Bee loves watching the students at WOLF School work together and connect to their own growth. She is grateful for the WOLF School environment, where every day she is inspired by her co-workers and students and allowed the opportunity to become a life-long learner. 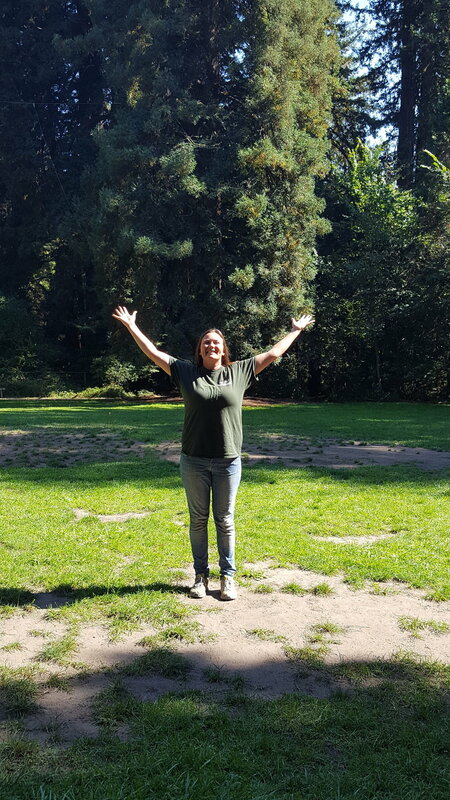 Bee loves exploring new and old nature spots and parks, camping, hiking, the sharing of food and culture between people, and hearing people’s individual stories. Hailing from Southern California, in San Bernardino, CA, Puffin moved north to study watershed science at CSU Monterey Bay, where he focused on water quality and aquatic ecology. He worked as a counselor with YMCA of the Monterey Peninsula and for Monterey Peninsula Regional Parks District’s nature programs, before serving an AmeriCorps term teaching watershed science and salmon habitat restoration on Northern California’s “Lost Coast.” In January of 2016 Puffin began working as a WOLF School naturalist, drawn to the organization for its ability to provide an environment that combines so many of his passions: outdoor field science, helping to inspire kids to care about the planet, improving opportunities for underprivileged communities, and promoting environmental stewardship in all of humanity. His favorite Santa Cruz activities include wild harvesting/foraging edible foods from the forest and cooking healthy meals with friends, snorkeling, mountain biking, hammock naps in the redwoods, and supporting live music. Dingo earned his Bachelor of Science in Natural Resources with a concentration in water and climate from the University of Connecticut, his home state. His experience with youth and outdoor education spans age groups and ranges across the country: he spent two summers as a naturalist at Audubon in Greenwich, CT with 1st-5th graders, two summers as a backpacking and canoe trip leader for 11-14 year olds with Farm & Wilderness in Vermont (whose trips took groups to Vermont, New Hampshire, Maine, and upstate New York), winters he is a snowboard instructor in Beaver Creek, CO, and he spent one year as an educator at the Ecology School in Saco, ME. Upon moving to California, Dingo began searching for an outdoor school where he could continue his goal of connecting children with the natural world and helping them to realize their connection to it—in January of 2016 he found WOLF School and was brought on as a naturalist. With his philosophy that people are only going to save what they care about, and they are only going to care about what they know or have experienced, Dingo has been a welcome addition to the WOLF team. Amid leading youth programs, Dingo loves kayaking, star-gazing, hiking, surfing, playing guitar, laughing, and being challenged to learn and discover new things with one another. 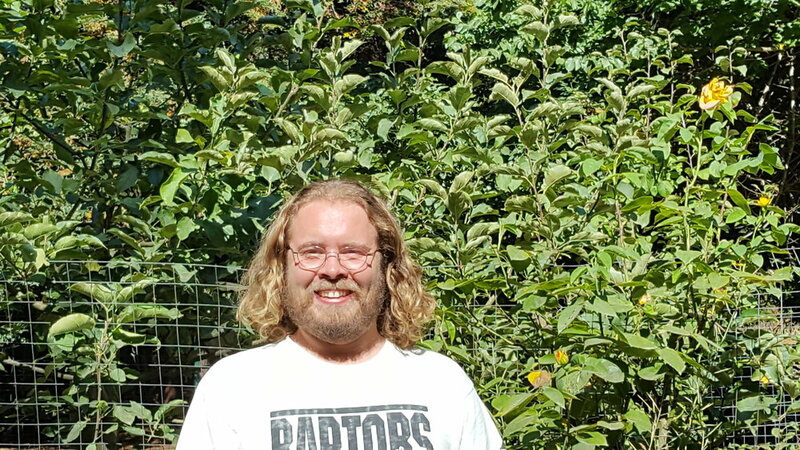 A recent graduate from UC Santa Cruz, Treetop earned his Bachelor of Science in Environmental Studies with a focus in Environmental Education. During his undergraduate at UCSC, he interned both with Education and Outreach Programs staff at Save Our Shores and at Henry Cowell Redwoods State Park. Treetop believes that one of the best ways to protect the Earth is to teach others to love it, and that one of the most impactful ways to achieve this stewardship is through educating our youth. He learned about WOLF School through Save Our Shores, who collaborate together to bring K-12th grade groups to Monterey Bay beaches for beach clean-ups and data collection. Originally from Santa Barbara, CA, Treetop’s favorite activities in the Santa Cruz area since living here have been hiking, camping, and kayaking. Pachamama facilitates nature connections and helps decode the language of the earth through natural history. She makes the experience of nature her classroom which is open to all styles of learning. Armadillo encourages students to be sincere and empathetic towards others and nature. Her goal is to empower youth through team building and sharing her love of herpetology with them. Hops have a love for being outdoors especially if he is rock climbing. When he is not climbing he is using his outdoor leadership skills to teach children about being stewards of nature. Sharing his love and passion for nature is what brought him to WOLF School. Environmental education is an important part of Raven’s life and one that she wants to share with youth. Teaching our youth respect and curiosity about nature is an integral part in helping both the human and biological communities to thrive for future generations to enjoy. Blossom is a fan of wilderness, having lived in a tent for three months to connect with the natural world. Her background is in summer camps and wants to bring the outdoor classroom to life through WOLF School. She believes that children learn differently out in the natural environment and learn more about themselves and their peers when outside. Bombadil, originally from Massachusetts but has also lived and worked in Japan teaching English. Through teaching, she realized her passion was outdoors and interacting with children who fill the world with so much energy. She is excited to be a part of WOLF School and grow her love of nature. Seal has a passion for the ocean and all of its creatures. She loves sharing this passion with youth by connecting the sea with the terrestrial environment. She lives life to the fullest every day and aspires to play the ukulele in the WOLF School band. Shark’s firsthand encounter with nature programs as a child introduced her to the value of the outdoors. As a naturalist, Shark loves to talk about the natural world and inspire youth through their shared experiences in nature. WOLF School is the perfect fit for Alpine, she shares a love for outdoor education, empowering kids and being in nature. Her background is in outdoor Adventure summer camps and wants to continue a similar path with WOLF School by empowering youth through encouragement and a sense of teamwork. Meadow strengthens her teaching style through her continued curiosity with nature. She loves sharing the wonder of nature with youth and sparking their curiosity and wonder to learn more.